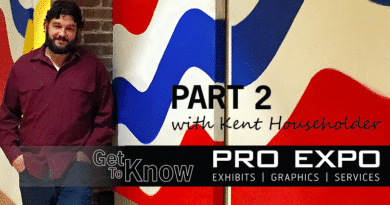 Last month we shared with you the ins and outs of PRO Expo and our staff. We enjoyed putting it together so much that we thought it might be fun for you to get to know our staff further. What a better way to do so than with a few interview questions! 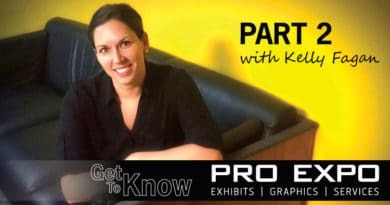 Each individual at PRO Expo is unique in their own way and offer something special to this close knit company. 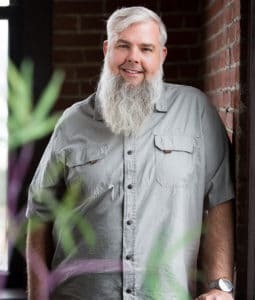 This month we feature Ted Twenter. 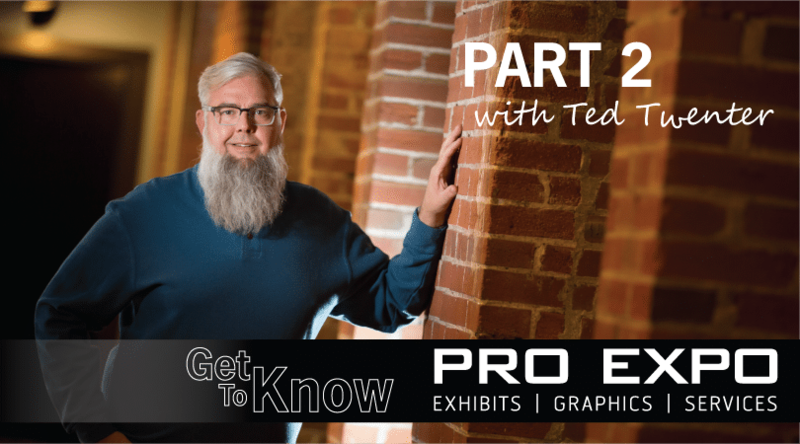 If you ever ask Ted what he does, he is more than likely to respond, “I sweep the floors.” Truth be told though, Ted is actually our fearless leader and the mastermind of PRO Expo Exhibits. Below is what the big guy had to say when asked. Family, friends and music. I work hard and smart so that I can enjoy the things that I love most – Family. Friends. Music. 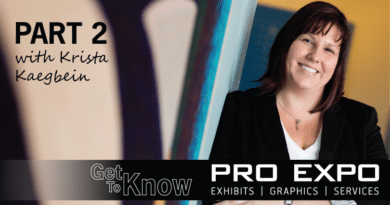 I was a map maker, Cartographer, who interviewed for a position in the large format graphics industry. The rest is history. Blues/Greens – mostly the colors of nature and always cool & calming. The Godfather. It was the first book I read cover to cover without putting it down. October Sky, the movie. True story of four boy’s dreams of building the “perceived” impossible. Widespread Panic. Why you ask? Just give it a listen – Either you’ll get it or you won’t! I’m a long term goal setter that stays the course with focus. I like to please people, so sometimes I’m a pushover. You don’t know what you don’t know, so don’t act as if you do! The only way to understand this industry is to live it. Instagram – more photos / less words! It’s also the most visually appealing and least opinionated. Be the best, not #2 or #3. Do it in a niche market. Focus on your client’s success, NOT the bottom line. If you do this, you’ll enjoy what you do and make a good living!